With a swooping voice, an irrepressible sense of humor, and a passion for good food, Julia Child ushered in the nation’s culinary renaissance. In Julia Child, award-winning food writer Laura Shapiro tells the story of Child’s unlikely career path, from California party girl to coolheaded chief clerk in a World War II spy station to bewildered amateur cook and finally to the Cordon Bleu in Paris, the school that inspired her calling. 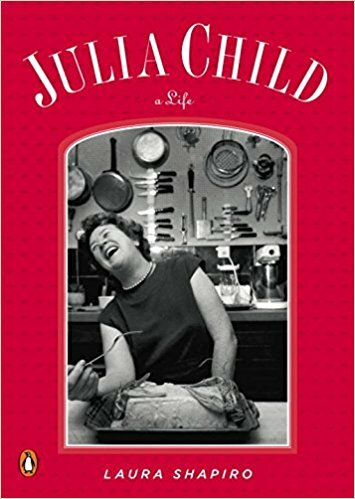 A food lover who was quintessentially American, right down to her little-known recipe for classic tuna fish casserole, Shapiro’s Julia Child personifies her own most famous lesson: that learning how to cook means learning how to live.